This is the biggest DUPLO bulk set ever! Features illustrations of suggested models and a world of figures and special elements. The xl bulk set is specifically designed for large groups of 6 to 8 children both in educational environments and public play areas. 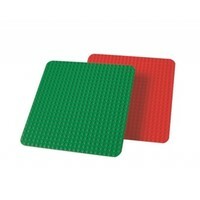 This large DUPLO bulk set is ideal for day care centers and other pre-school institutions. Age indication: 18 months up to 5 years.